There are two tools that I highly recommend anyone spending their miles should use as a place to start because in this case, these two sites have already compiled all the award charts for hotels and airlines, and made them into an easy format for you to see, so there’s no more looking at rows and columns on award charts! 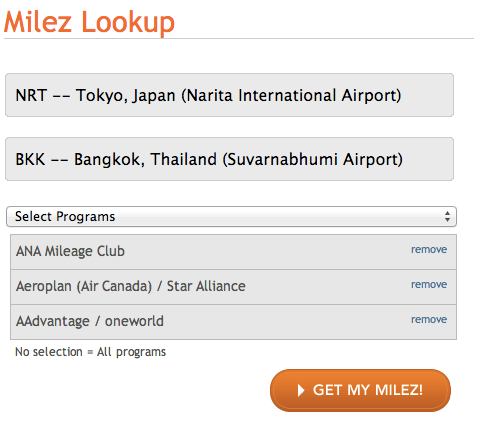 The first is called milez.biz, which is a comparison of the award charts from many airlines. Some airlines are not covered and sometimes the rates for some programs are not listed correctly (especially with programs like Avios where everything is calculated per segment), but this is a great website for people who are not so familiar with all the award charts as it’s much easier to see all the award prices listed on one page. Generally, I use this to for city pairs which I am not so familiar with. For example, the other day I was looking at awards between Auckland and Perth. I honestly had no idea which program would require the least amount of miles and honestly unless you live in Oceania, you wouldn’t know what program has the best rates. One thing that you do need to keep in mind is that the website will always spit out the values for roundtrips only. Now some programs do allow one-way redemptions, while others do not, so if you’re comparing one-way redemptions then you’ll have to take that into consideration. 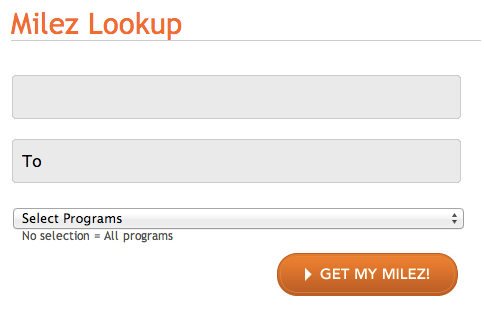 If you want, you can limit the searches to programs you have miles in by selecting airlines in the drop down box. It shows you the lowest amount of miles required, although that value will be for economy only. But you can manually check each level with each program, and just in the screenshot above you can see that Aeroplan is much cheaper than American for the same itinerary. This will help you get a general sense of how best to use your miles if you have many different types for a redemption, especially if you are unsure about the award charts for each program. Note that the reward levels displayed may not always be accurate or be conforming to award rules, such as not weighting fuel surcharges for an example. For some itineraries that are obvious like short-hauls or BOS-DUB it’s very obvious that Avios is the best, or for North Asia Business Class US Airways is generally has the lowest award levels but for more obscure city pairs it’s really helpful to use this tool and something you should bookmark. 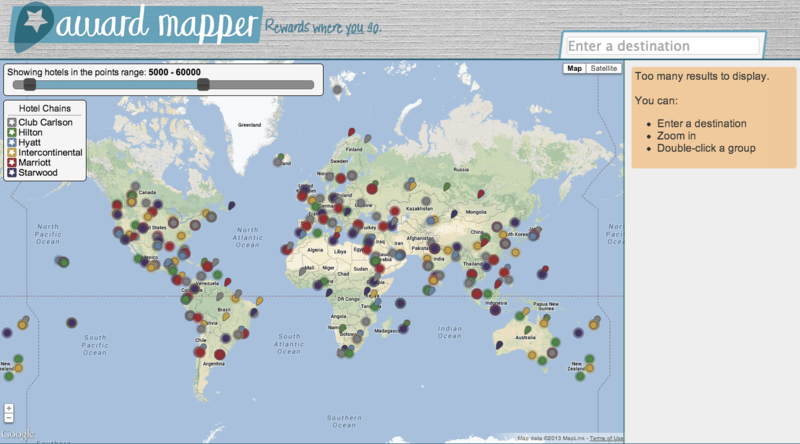 The other tool that I thought was worth mentioning is Award Mapper. I stumbled on this tool a few weeks ago. Basically, they’ve just taken all the hotels and put them on a map along with the points required for a redemption and it’s a similar tool to milez.biz except with hotels and a different search interface. I find this extremely useful because it’s maps out all the areas in a hotel from all chains and puts them on a map that’s easy for you to see. Again, it’s good to compare all the options for cities or places you are unfamiliar with. 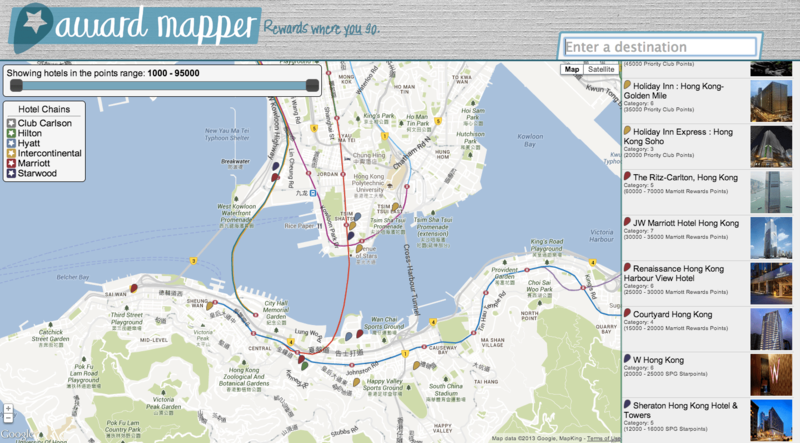 For example, here is a map of Hong Kong with all the major chain hotels and the points required for a one night stay, illustrated on the right sidebar. It’s important to remember that hotels points are not worth all the same so consider how much each point is worth before you make your decision. Obviously neither of these tools to give award availability so make sure that there is space/rooms available before transferring any miles/points (if necessary). But both sites are a good starting point when redeeming for a destination, especially if you have a variety of points to use and don’t know which program is most “cost-efficient” and requires the least amount of miles. Links for Milez site not working. thanks for the helpful post.. I find myself doing a lot of award bookings recently and it’s time that I subscribe for some paid tools.. primary interest is UA,US air, AA, BA and AS. What would you recommend? most of the info for redeeming for award space on us/ua/aa/ba/as can actually be found online, as you can search oneworld space on ba for the most part, and star alliance space on united.com. I’d recommend KVStool if you really do want a paid search tool but you’ll need to use it a lot to get some value out of it. what I meant was I was to use miles in those programs but would like to fly partners as well. I read somewhere that UA and AA don’t show availability for a lot of partners. you can search ua space on ua.com, they show nearly all partners except SQ, SN, and LO. 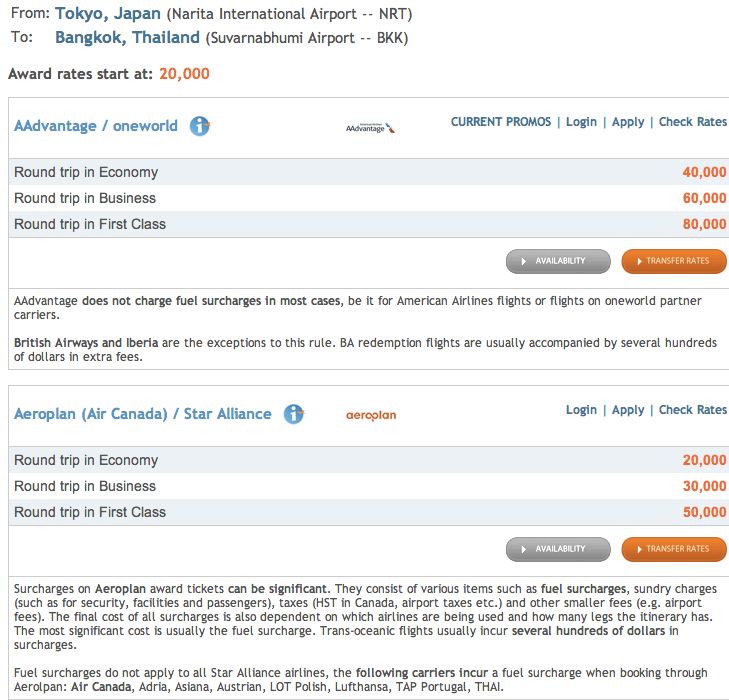 You can search all star alliance award space on ana.com. ba.com will show all oneworld award space. once you’ve found space you can call into aa and feed the agents the segments. I’ve very rarely seen hawaiian biz space akl-hnl – my friend was trying to book that the other day.